Why are all the lights on? 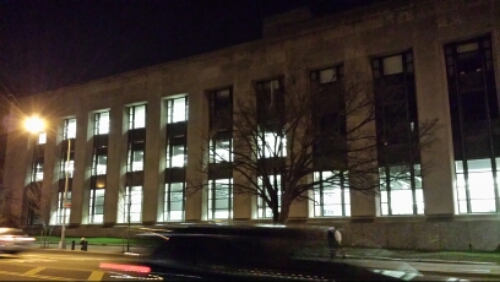 Brooklyn library has alot of lights considering it’s midnight on a Saturday. ….